When Julius Caesar (Claude Rains) comes to visit Alexandria, one of the first things he does is see the Sphinx. While basking in the Sphinx’s glory, he meets a strange, silly young girl who urges him to hide before the Romans find and eat him. After talking to this girl for a few minutes, he finds out that she is Princess Cleopatra (Vivien Leigh). At first, she doesn’t realize who he is, or even that he’s Roman. When she does, she’s initially afraid, but he quickly wins her over. Caesar takes Cleopatra under his wing and the two of them develop a close friendship. He helps her find her confidence, teaches her how to act like royalty, and helps her to get power away from her brother. I was very pleasantly surprised by Caesar and Cleopatra. Historical dramas, for the most part, aren’t really my thing. 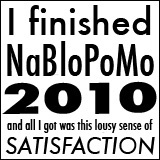 Generally, I think they’re stiff and humorless and usually go on for way too long. So I was very pleased to find that Caesar and Cleopatra was actually pretty lighthearted. I thought Netflix had made a mistake when they described it as “witty,” but there was no mistake. 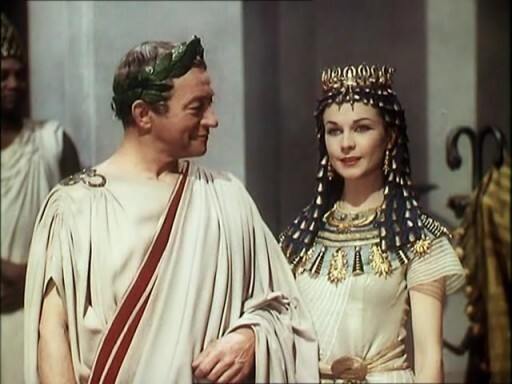 Vivien Leigh’s Cleopatra has a lot Scarlett O’Hara’s steely will and determination, but has a much more playful side. I really wasn’t expecting to see Vivien Leigh and Claude Rains being so funny and playful. But what a wonderful surprise it was because Vivien was an absolute delight to watch in her comical scenes. Actually, I think I liked her better in her funny scenes than in her more Scarlett O’Hara-esque scenes. Caesar and Cleopatra was a box office failure when it was first released, and it’s still a movie I don’t hear discussed very often. Maybe it gets overshadowed by Elizabeth Taylor and Claudette Colbert’s turns as Cleopatra, but Caesar and Cleopatra deserves to be re-evaluated a little bit. It’s not one of the all-time greats, but it’s still very enjoyable fun and not dragged out at all. Totally unlike any other historical drama I’ve ever seen. I’m really glad I decided to take a chance on this one. For more blogathon contributions (and for all other things Viv and Larry related), please visit vivandlarry.com! I’m so glad someone chose to talk about this film! It’s not my favorite of Vivien’s, but it is interesting in a lot of ways. Actually, it was a box office failure only in that it didn’t break even on the absurd amount of money J. Arthur Rank and Gabriel Pascal spent on it, but it was one of the most successful films of 1945. I’m guessing the major reason for this was the clout Vivien Leigh attained from GWTW. It’s too bad she didn’t make more films in Britain in the 1940s, critics probably would have been much easier on her since she reeled in the cash for England in the American market! Thanks so much for participating, your reviews were a joy to read! I’m glad to hear it wasn’t quite the box office disaster that the sources I looked at made it seem. I never looked at the film’s budget until just now, and I can definitely see how they had a hard time breaking even on that. I feel this is an unfairly maligned film by critics, and I think you did a great job highlighting the “playfulness” of Leigh’s Cleopatra. Pauline Kael said her charming “ding-a-ling” quality saved the movie in a lot of ways, and I agree her daffiness definitely brought the piece to a whole other level than it would have been in less playful hands. I’d say Pauline summed it up pretty well there! I’ve only seen bits of Elizabeth Taylor’s Cleopatra, it’s just seems so long and stuffy. Caesar and Cleopatra really was a breath of fresh air compared to all the other historical dramas. After all, who says historical dramas can’t have humor in them? time to be happy. I’ve learn this put up and if I could I desire to suggest you few fascinating issues or suggestions. Perhaps you can write next articles referring to this article. I desire to read more things approximately it!